It’s hard leaving a dog behind when you’re traveling for the holidays. They’re part of the family, and many dog owners are no happier about it than they would be if they were leaving a child behind. But the demands of holiday travel, especially airline travel, may put too great a logistical strain on the situation, and if there’s really no place for a dog where you’re headed, the question of taking Fido along becomes moot. So, you’re left to find the best available options for dog care while you’re away. Most kennelsdo a good job with their customers, but you may not like the idea of “warehousing” a pet for a week or more. The good news is there are more options than ever for safe pet care these days, and most are quite affordable. Dogs require attention, not just a daily feeding and a quick rub behind the ears, so asking the neighbors to pop over after work each day for a few minutes probably isn’t going to work very well. Instead, consider hiring a pet sitter. Pet sitterscharge, on average, from $20 to $40 a day. They may come by two or three times a day to make sure your pooch is fed, taken outside and played with; stay in your house while you’re gone (this option makes some people nervous); or keep your pet with them (also a nervous situation with a stranger, even one with good references). Go with your instincts, but be sure to do your homework, check referencesand find out from other pet owners what kind of experience they had. Many pet sitters have websites or are affiliated with pet sitting organizations, so there should be some information available to you online. A pet sitter should be willing to send you updates along with photos or videos of your pet so you can see how he’s getting along. Important tip: Always make sure your pet sitter is insured and bondedbefore handing them a house key. Some pet owners, especially those who expect to be gone for a while, prefer to hire a house sitter, someone who can both care for their dog and keep an eye on their property. 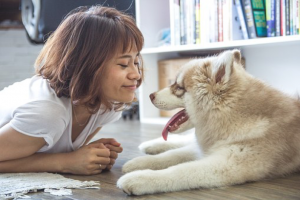 While your furry friend gets round-the-clock attention, it’s not quite the same as using a pet sitter, who may have more hands-on experience dealing with animals. Bear in mind that some house sitters may be more “dog friendly” than others and that some may not be disposed to provide quite as much loving care and special attention as others. If you prefer a house sitter who has more experience with animals, check out Trusted Housesitters. It’s always a good idea to consult with your veterinarian for recommendations on the best options. They’ll know the best places for boarding and may be able to recognize some reliable sitters. Many vets offer on-site boarding for their customers, though this usually requires advance notice. It’s a great option for a pet owner who prizes peace of mind over all, because vets can provide any needed veterinary care should the unforeseen happen (that’s a biggie for owners whose pets have some kind of health condition). Boarding a pet typically costs from $25 to $45 a day. If you don’t board with your vet, be sure to keep your dog’s car seatwithin easy reach while you’re away in case a sitter, neighbor or friend needs to get him to the vet for emergency care. Take the time to study online reviews of the best booster seats and invest in one before heading out for the holidays. It can be wrenching when you have to leave the family dog behind over the holidays, especially if you’re used to filling his stocking on Christmas Eve and including him in all the fun on Christmas Day. 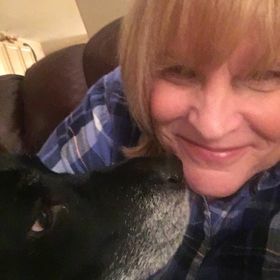 Be diligent about checking references if you elect to go with a professional pet or house sitter, and check in regularly to make sure all’s well.